Draft – This is a preliminary draft specification. Please note that some implementation details will change before publication. Last updated: 22 March 2019. 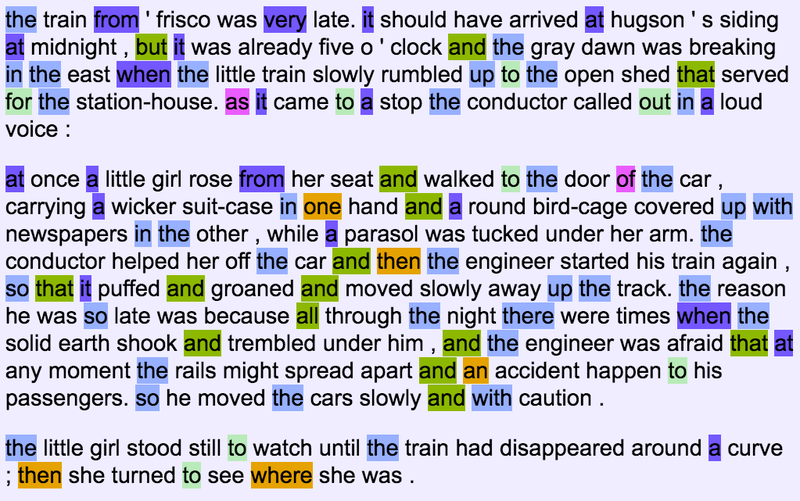 Transformations of textual data are important processes in many natural language processing and text analysis workflows. Examples include tokenization, lemmatization, and appending of part of speech tags, as well as many other (often language-specific) procedures. In this specification, a text transformation is any operation which takes as input a sequence of Unicode characters, and produces as output a sequence of Unicode characters. The Text Transformation API (TTA) defines a simple specification for how to negotiate, request, and deliver text transformations over HTTP. A TTA server is a system which both: 1) publishes a TTA service manifest, and 2) provides or references at least one TTA transformation service endpoint. endpoint The URL of the transformation service endpoint described by this entry. 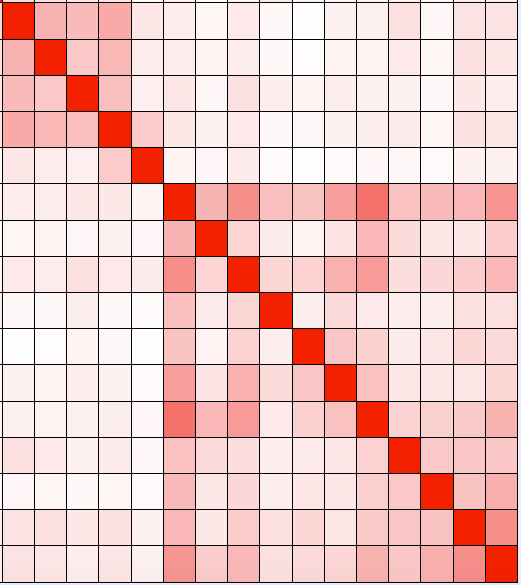 languages A list of ISO 639-1 language codes to which the endpoint is relevant or recommended. title A human readable description of the service the endpoint describes. A transformation endpoint is a HTTP or HTTPS URL which accepts a string of text sent to it via the HTTP POST method using the “application/x-www-form-urlencoded” content type. The content of the string must be supplied in the “data” parameter of the request in UTF-8 encoding. output The contents of the “data” parameter transformed according to the service provided by the requested endpoint. error A string explaining why the request failed. A transformation client is any software which 1) requests TTA service manifests, specified by their URL; 2) provides a user with a means of viewing the “title” descriptions of the endpoints from any conformant TTA manifest, and 3) provides a user with a means of transforming texts using any conformant endpoint. A non-normative example of a TTA client is accessible here. 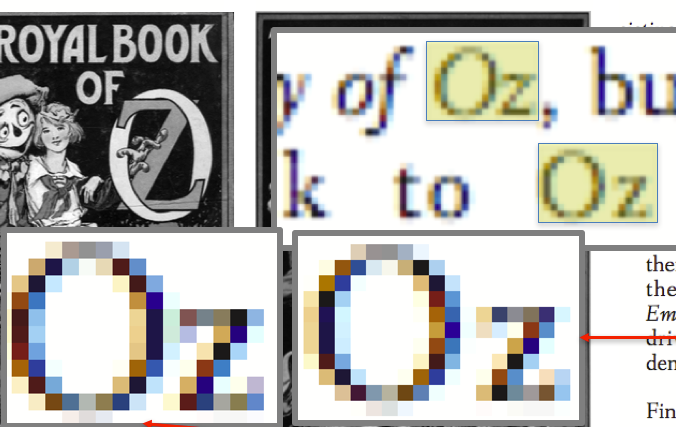 Optical character recognition (OCR) – the fully automated transcription of text appearing in a digitized image – offers transformative opportunities for the scholarly study of written materials produced prior to the digital age. Digitization, in the sense of photographic reproduction, is a largely straightforward, mechanical process, and one with significant value in its own right for purposes of preservation as well as access to rare materials. 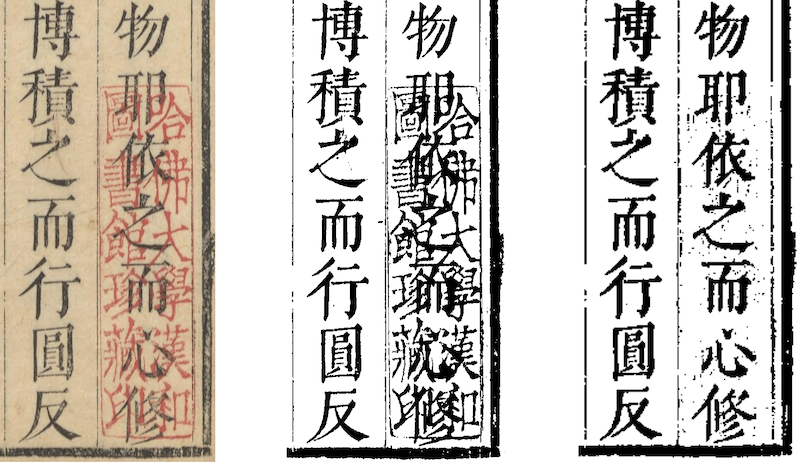 As a result, hundreds of millions of pages of pre-modern Chinese works have been digitized by libraries and academic institutions around the world – a significant portion of this increasingly being made freely available online. To make use of this material efficiently, transcriptions of the textual content of these images are needed. Given the enormous volume of image data in existence – and its continual production as digitization continues – this task is only feasible if it can be fully automated: performed by software without manual intervention. Individually, reliable transcriptions produced by OCR offer enormous time savings to researchers, making it possible to efficiently navigate materials in ways not possible without digital transcription. In aggregate, however, these transcriptions make possible entirely new ways of exploring historical materials – making it possible to rapidly identify material that one suspects may exist somewhere, without knowing in advance where that might actually be. 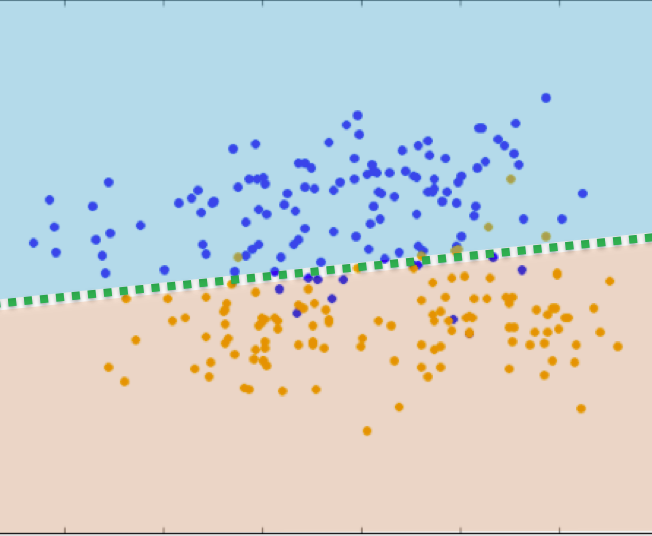 It is also a prerequisite also to virtually any type of statistical analysis of these materials – the potential utility of which continues to increase as a larger and larger proportion of the extant corpus is transcribed. 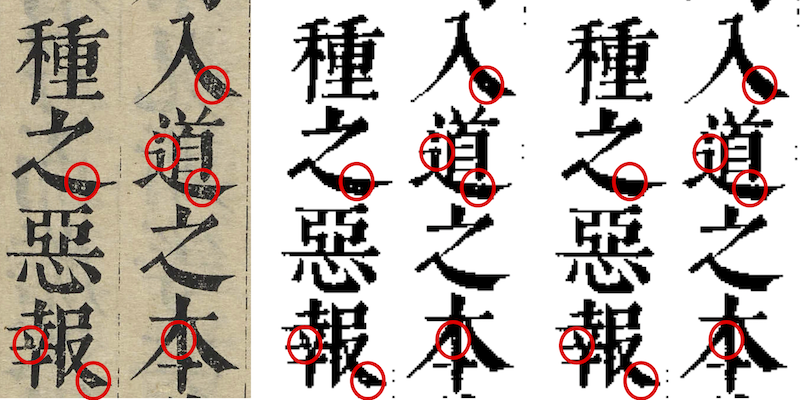 This paper introduces a procedure for OCR of pre-modern Chinese written materials, both printed and handwritten, describing the complete process from digitized image through to automated transcription and manual correction of remaining errors, with particular attention to issues arising in this domain. 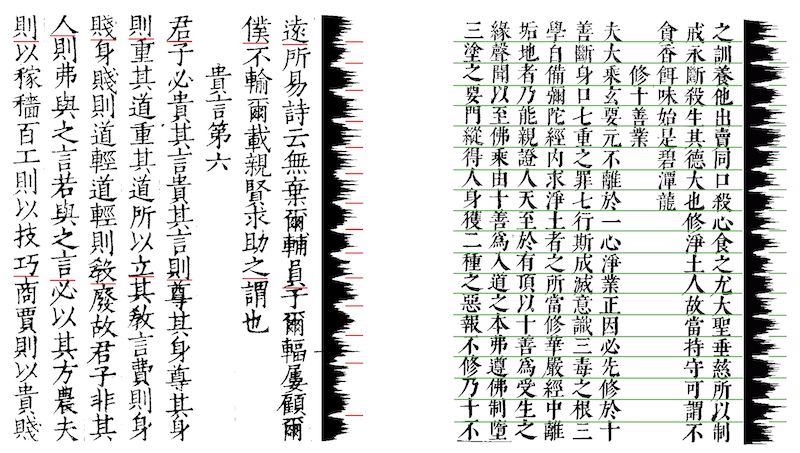 The process described has been applied to over 25 million pages of pre-modern Chinese works, and the paper also introduces the Chinese Text Project platform used to both make these results available to scholars as well as provide a distributed, crowdsourced mechanism for facilitating manual corrections at scale as well as further analysis of these materials. This course introduces students to key concepts and techniques fundamental to applying digital methods to the study of textual materials and other types of data in humanities subjects. The core topics covered are digital representations of data, ways of structuring and managing data, extracting data from textual materials, and data visualization and analysis. Concepts introduced in lecture sessions will be reinforced and applied concretely in particular contexts during corresponding practical sessions and take-home assignments. No background in digital methods is assumed, however students are expected to have basic computing skills and access to a suitable laptop. Examples will be selected from a variety of subject domains within the humanities with the primary focus being on textual materials. Reading: Paul Vierthaler. Analyzing Printing Trends in Late Imperial China Using Large Bibliometric Datasets, Harvard Journal of Asiatic Studies. Reading: Matthew L. Jockers. Macroanalysis: Digital Methods and Literary History, University of Illinois Press 2013. Pages 35-62. Reading: Jean-Baptiste Michel et al, Quantitative Analysis of Culture Using Millions of Digitized Books. Science 331(6014). Reading: Teddy Roland, Topic modeling: what humanists actually do with it. 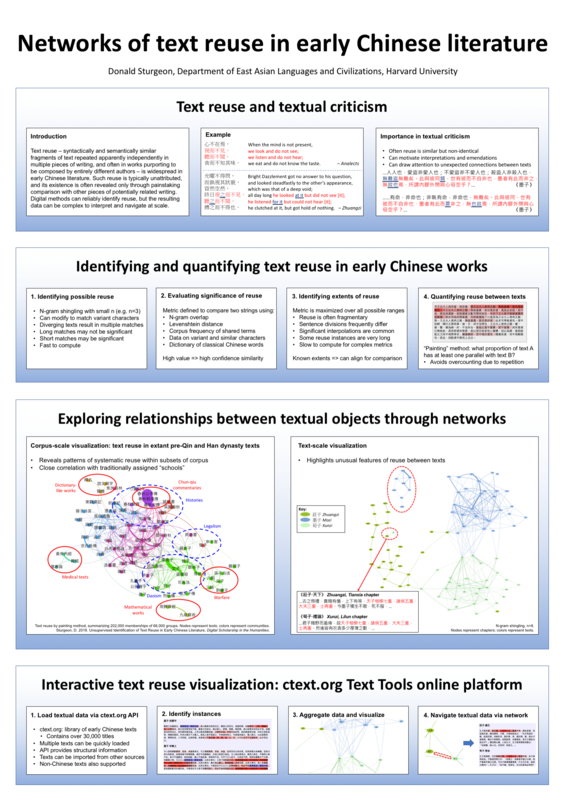 Poster presented at Connected Past 2018. Paper presented at Future Philologies: Digital Directions in Ancient World Text, Institute for the Study of the Ancient World, New York University, April 20 2018. Despite a growing interest in digital humanities as a field of study and focus of specialization, significant barriers to the adoption of digital techniques remain within research and teaching in practice in many humanities disciplines. While an increasing number of humanities scholars have demonstrated willingness to invest time and effort in cultivating necessary technical skills, in practice many more are prevented from experimenting with digital methods due to perceived high barriers to entry. One approach to accelerate the adoption of digital techniques is to attempt to reduce the prerequisite technical skills required to apply techniques to research data in practice through the creation of platforms and tools able to bridge technical gaps for some of the most powerful and generally applicable use cases. 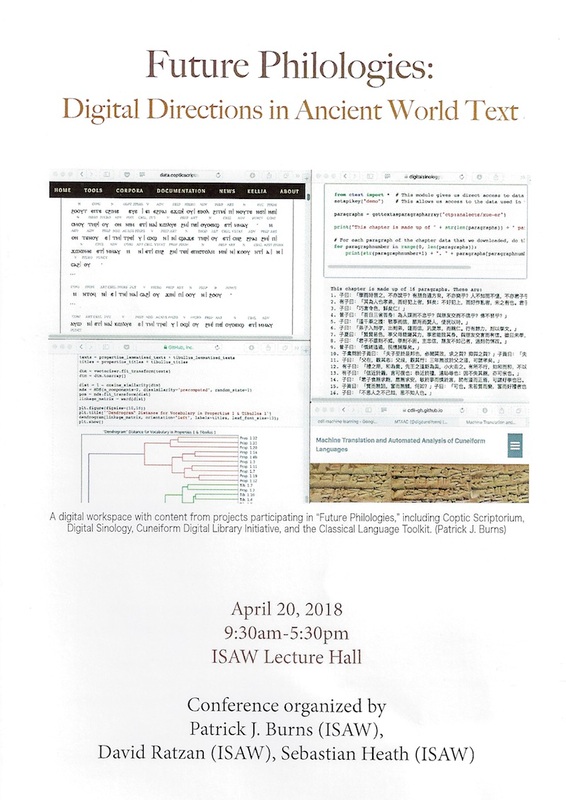 With this goal in mind, this talk introduces a suite of browser-based text analysis tools designed for pre-modern Chinese materials and intended to easily integrate into scholarly workflows, including in particular those common in Chinese literature, philosophy, and history departments. Major goals include accessibility of the tools themselves, as well as transparency of their working and ability to introspect the mechanisms underwriting the results and visualizations produced. By enabling rapid exploration of arbitrarily chosen textual materials while also providing insight into the algorithms used, these tools have pedagogical applications in addition to research uses, and are already in use teaching at several institutions. It was a pleasure to host on behalf of the Chinese Text Project (ctext.org), together with Professor Peter Bol on behalf of the China Biographical Database (CBDB), the International conference on cyberinfrastructure for historical China studies, held at the Harvard China Center in Shanghai, March 14-16, 2018.